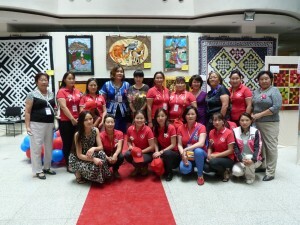 A delegation of seven Japanese ladies attended the quilt show in Ulaanbaatar and helped us tremendously in setting up the show and packaging and pricing the products made at the Mongolian Quilting Center for retail. 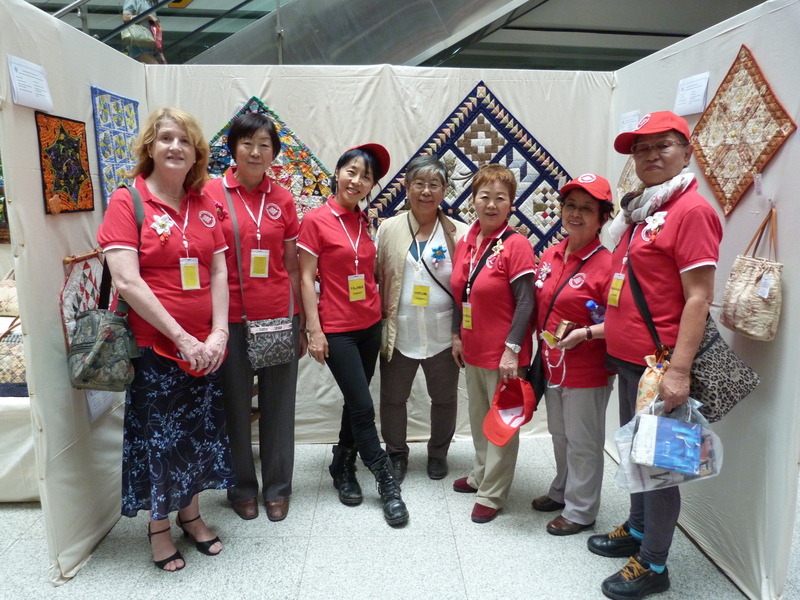 None of them were quilters, but they brought eight quilts and fifteen quilted purses with them, donated by members of the Japan Quilting Association. 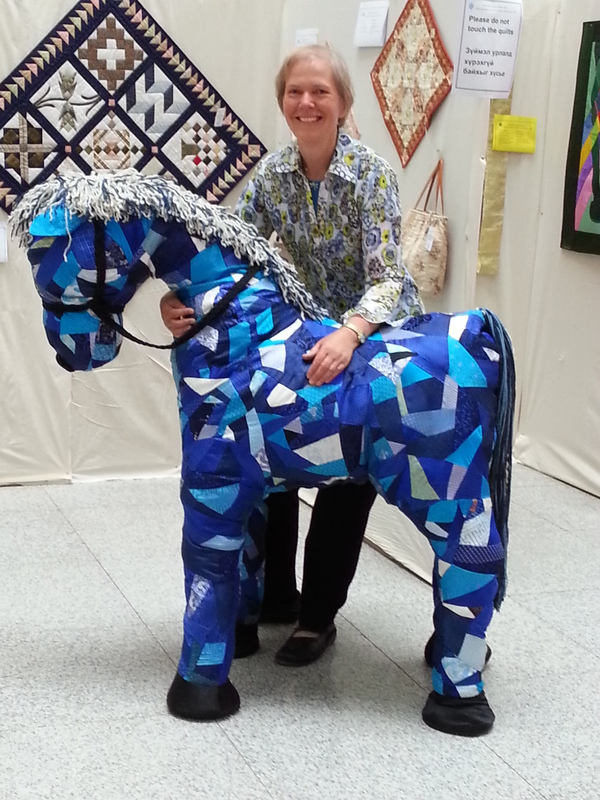 These generous gifts were all for sale, with 100% of the funds going to the Mongolian Quilting Center. 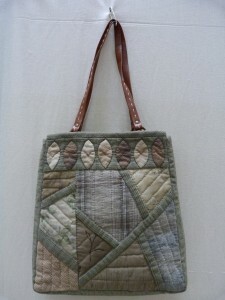 The quilts and bags were all exquisitely hand pieced and hand quilted. Some of the bags had decorative applique and embroidery all in immaculate stitches. Enjoy this sampling. 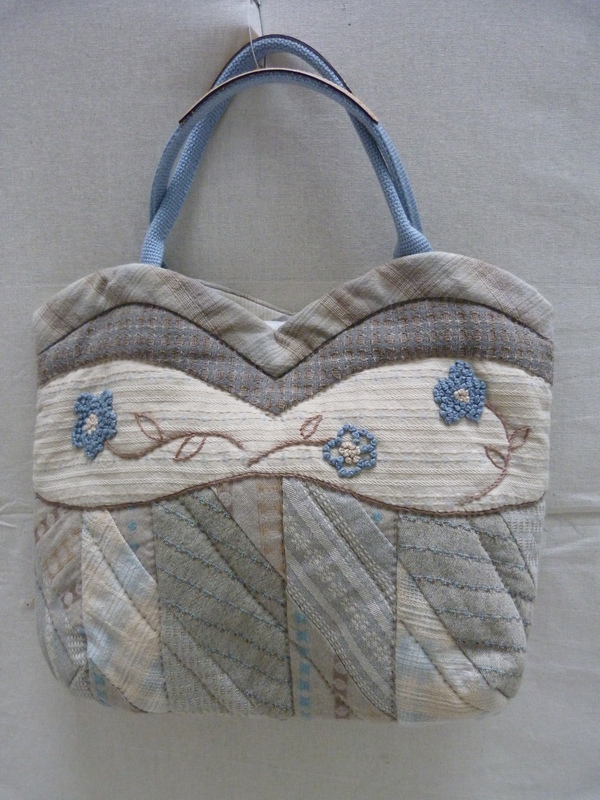 I particularly like the one with the delicate blue French knots, which my travel companion, Nancy Watts, purchased. The soft beige and brown tones are typical of the work of many Japanese quilters. 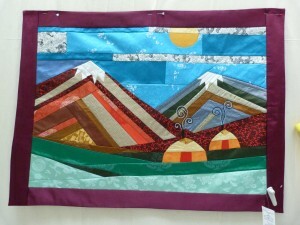 Shiilge Bat-Ulzii is one of the three talented designers employed at the Mongolian Quilting Center. Her work encompasses a wide variety and she is always excited to try new techniques. 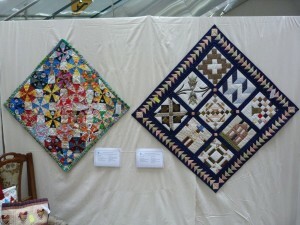 Here are several examples that were all on display at the quilt show. 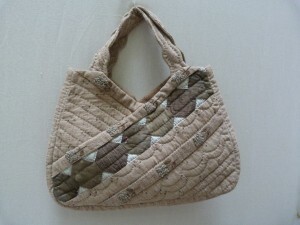 During the opening ceremony, we had a wonderful fashion show of garments and bags all designed by Shiilge. This tall model was stunning in the yellow dress with a contemporary dressy look including traditional Mongolian patterns pieced into the ruffles. She presented Shiilge with flowers at the end of the fashion show. 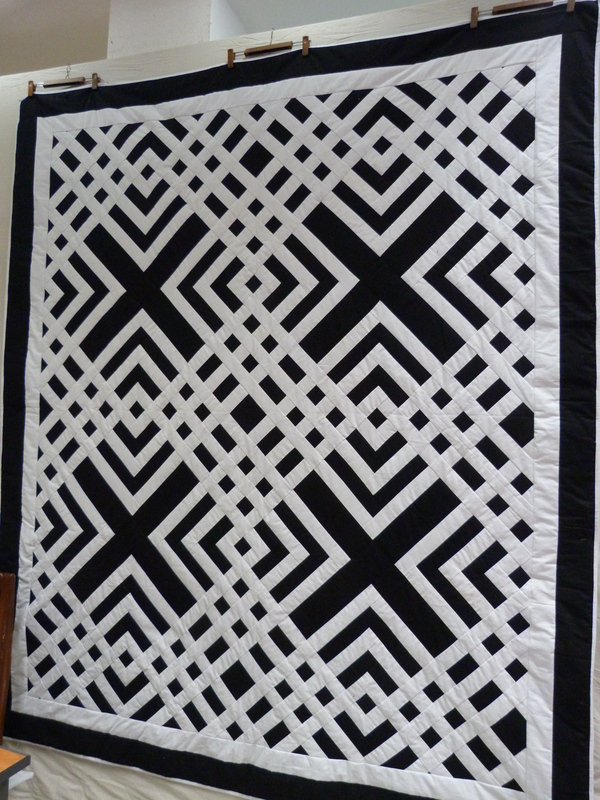 The striking quilt, black and white, was made by Shiilge. 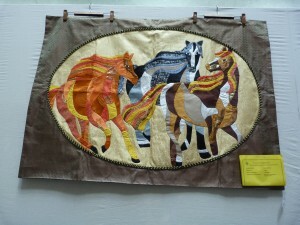 It is queen-sized and made a bold statement hanging on the main large wall of the exhibit. Shiilge surprised Selenge, the Director of the Mongolian Quilting Center, by constructing this wonderful large crazy patchwork horse from blue and white silk scraps. 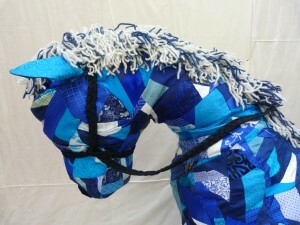 This was very popular at the show, especially with the kids. Beautiful Queen is indeed beautiful. 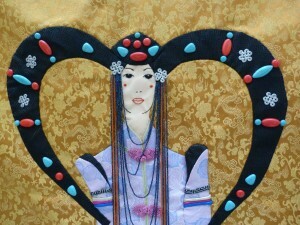 She is appliqued and embellished on this wall hanging depicting the traditional Mongolian garb of the princesses from Chenngis Khan’s era. 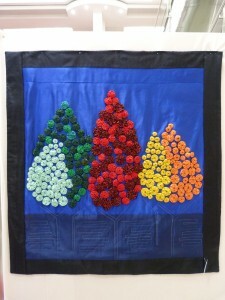 I love this Rainbow Forest made from silk yo-yos. Such a creative colorful idea and well executed. 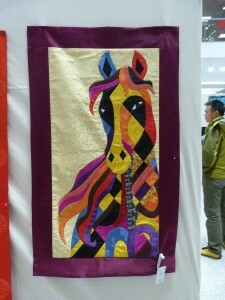 It is so exciting for me to see the way the Mongolian women have taken the basic quilting techniques and are using them in their own unique pieces. Shiilge has a creative flare and is prolific in her impressive and original work. Now it’s time to feature some of the amazing quilts made by women at the Mongolian Quilting Center. 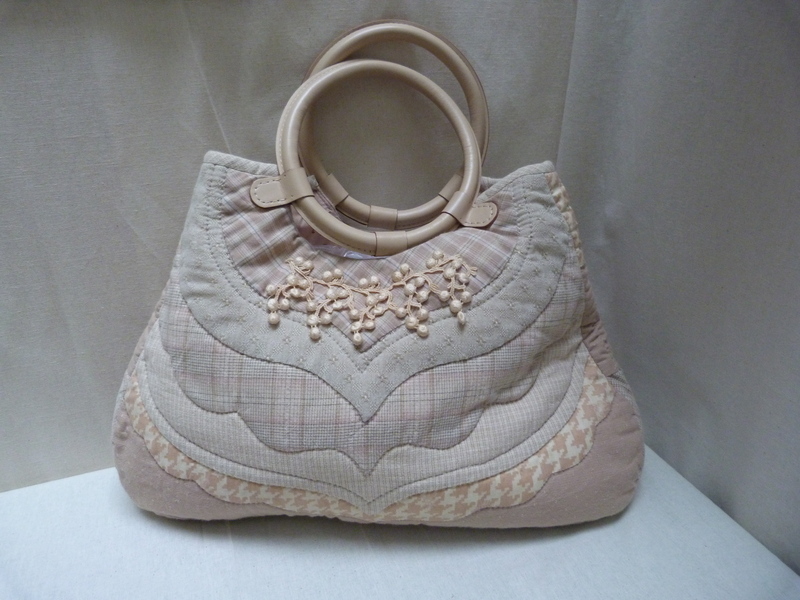 There are three designers at the Center and each has a unique style and flare for original work which is inspiring and exciting to see. 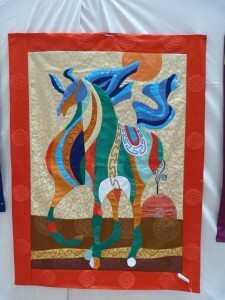 Byambalaa Lhagvansuren designs and makes beautiful silk hand applique works of art. Her horses and Mongolian scenes, in luscious silks are truly magnificent. Mighty Three, on the left, won best of show and Byamba was awarded a Singer sewing machine, donated by the Singer store in Ulaanbaatar. 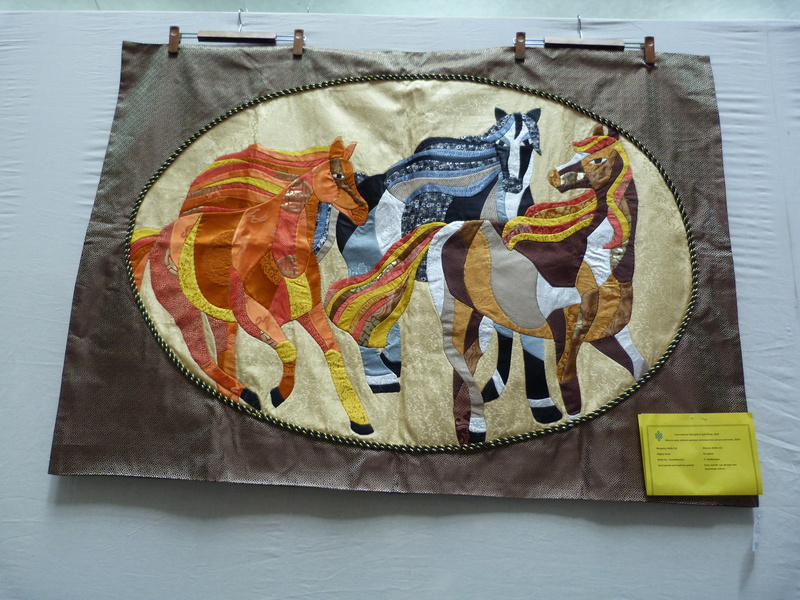 Magnificent Horse, on the right, quickly sold in the early days of the quilt show. 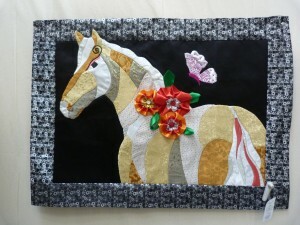 The horse on the left goes to a friend of mine who saw my picture of it on Facebook and asked me to purchase it for her. 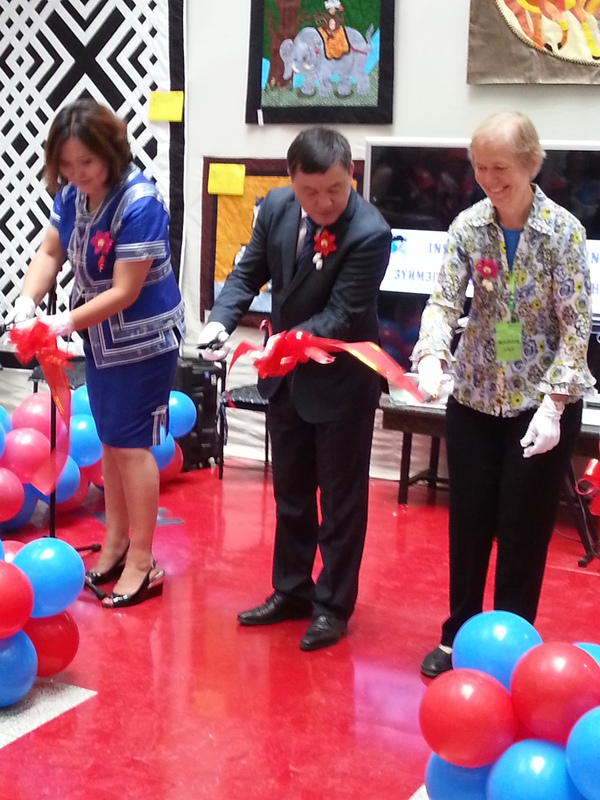 Darling, on the right has folded ribbon flowers on her back. 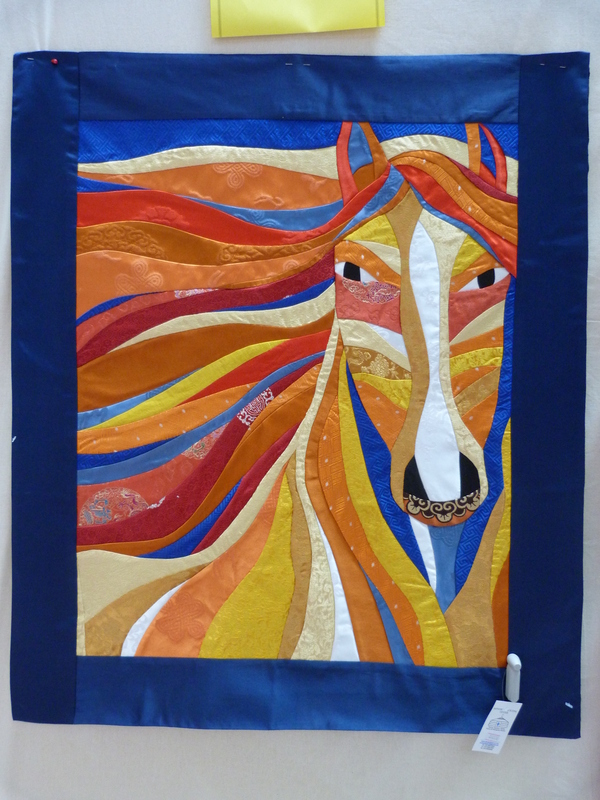 I fell in love with this horse with such a gorgeous colorful flowing mane and a royal blue border. 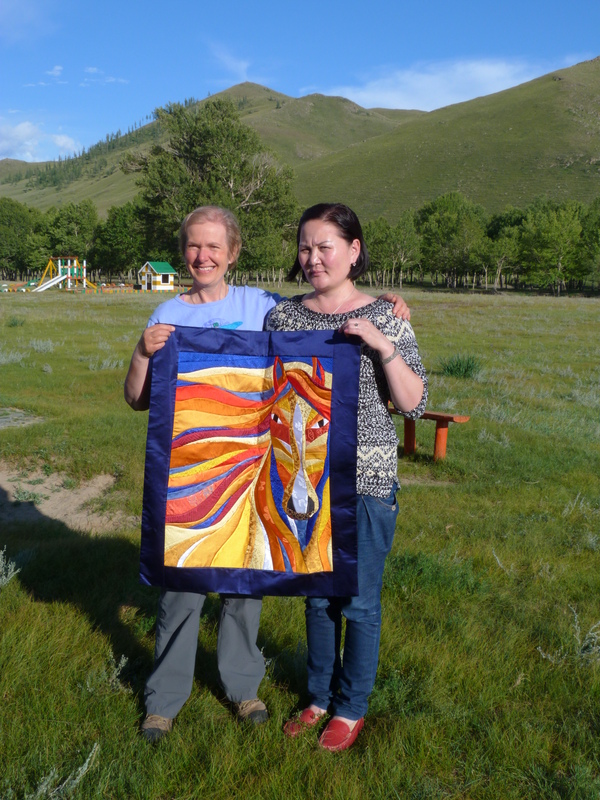 It was given to me as a gift from the women of the Mongolian Quilting Center at a celebratory barbecue we had just before I left Mongolia. Here I am with Byamba and this lovely treasure. 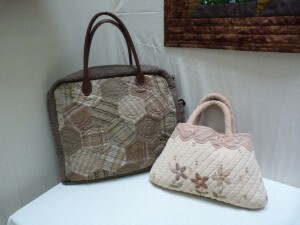 In addition to the horses, Byamba made these two exquisite pieces, both of which sold during the quilt show. 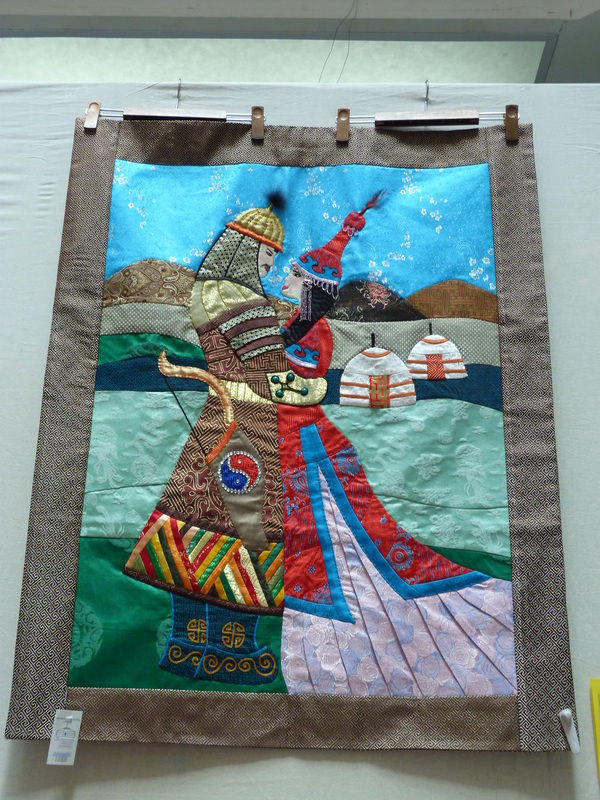 On the left, Farewell, depicting a young pair of lovers in traditional Mongolian costumes and on the right a mountainous Mongolian scene. This lady is extremely talented and I look forward to seeing more of her work in the future. The Quilt show in celebration of the 10th anniversary of the founding of the Mongolian Quilting Center took place in The State Department Store in the center of Ulaanbaatar from 7th-12th August this summer. 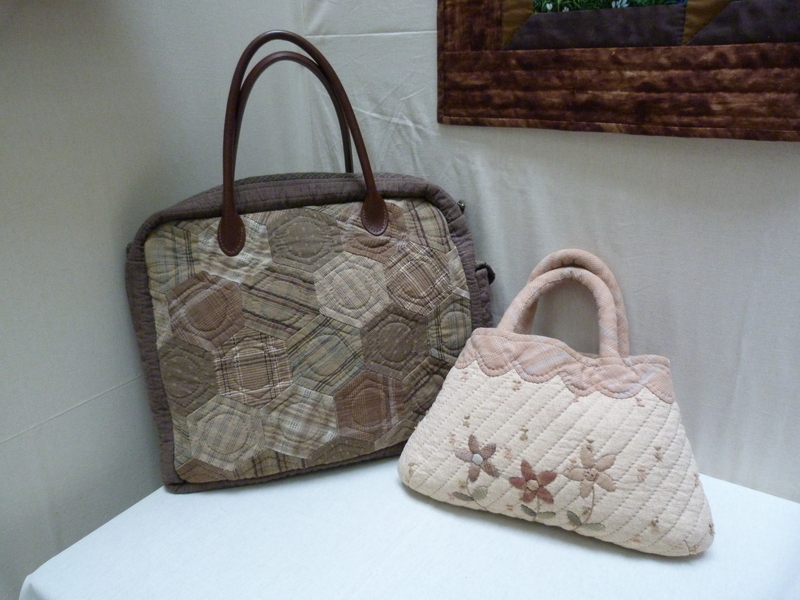 At our 2006 show in the same place, we tethered the quilts with safety pins to beds in the furniture department on the 4th floor. This year we had a fabulous location on the second floor in a large space between the escalator going up and the escalator going down. 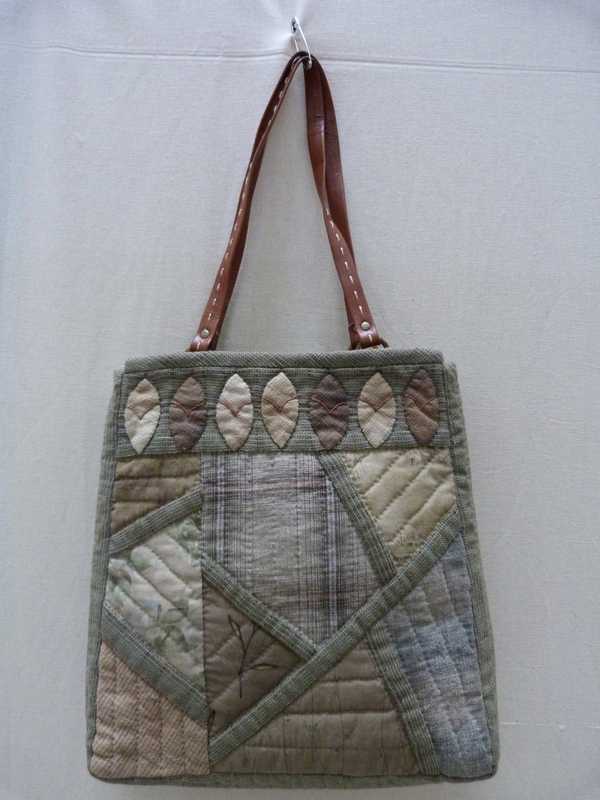 People could see the quilts as they went up and down between floors. 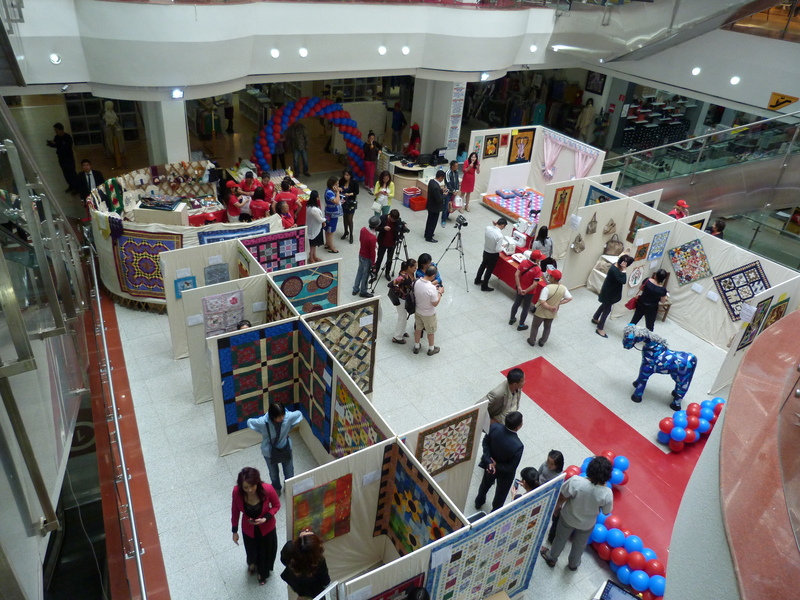 The picture shows the view from the third floor. 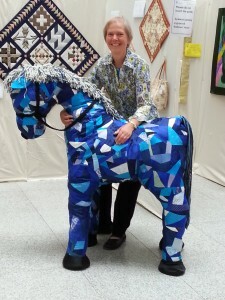 Hanging the quilts the day before the show opened was challenging. Selenge’s brother owns a furniture company and his company provided large heavy wooden panels which stood on bases. 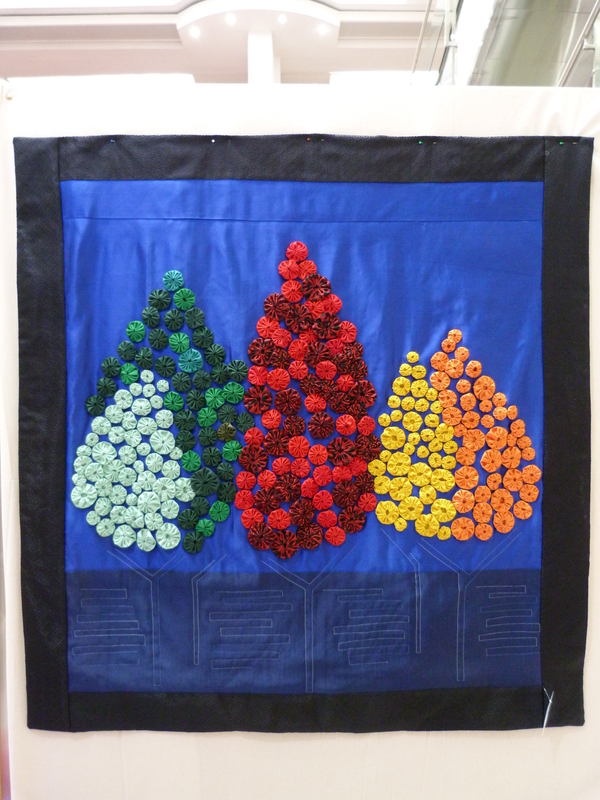 These had to be covered in cloth after they were erected so that we could attach the quilts. It worked fine, but the problem was the length of time it took to put them all up. We began hanging half of the room at 5.00 p.m., but the second half wasn’t ready until 8.30 p.m. 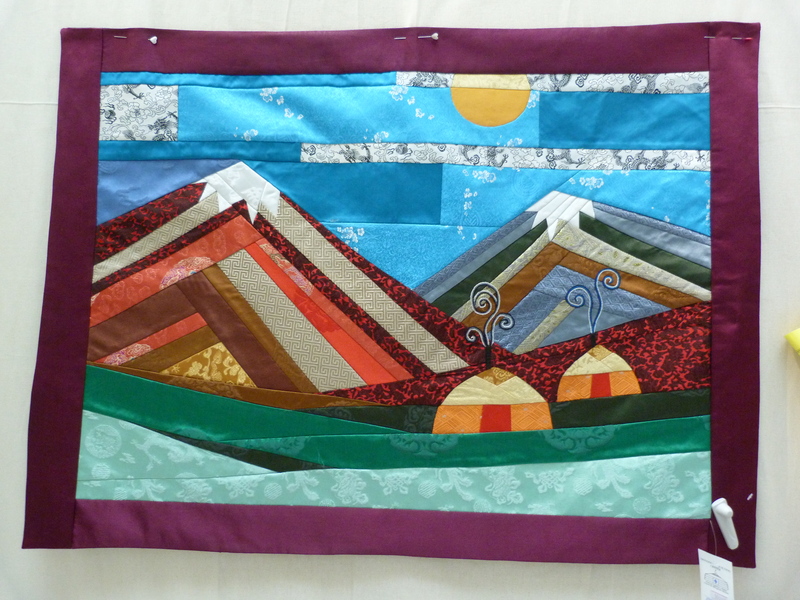 The quilt hanging went quickly with the help of the seven visiting Japanese ladies and my US companions. We had quilts from USA, UK, Australia, Japan and of course Mongolia. The quilt show opened with much pomp and ceremony the next morning. 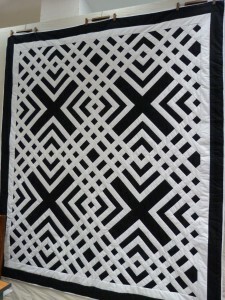 At 10.00 a.m., the time at which people were invited to the opening ceremony, balloons were being blown up and a bed was being constructed in one corner to display quilts for sale. 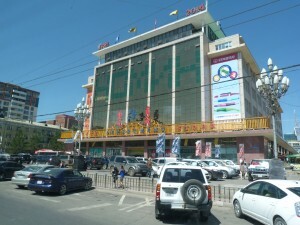 Products were still being arranged in the sales area and there was much activity. 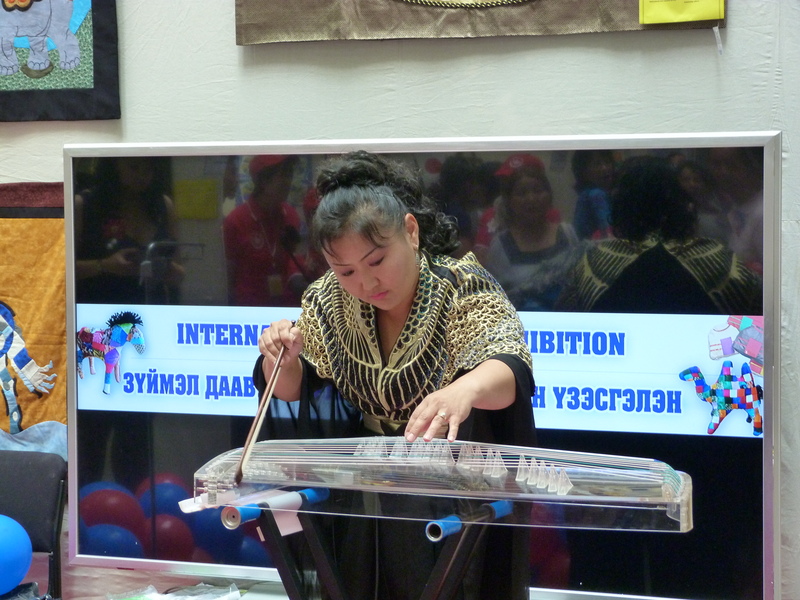 We began at 11.00 a.m. with some Mongolian music. 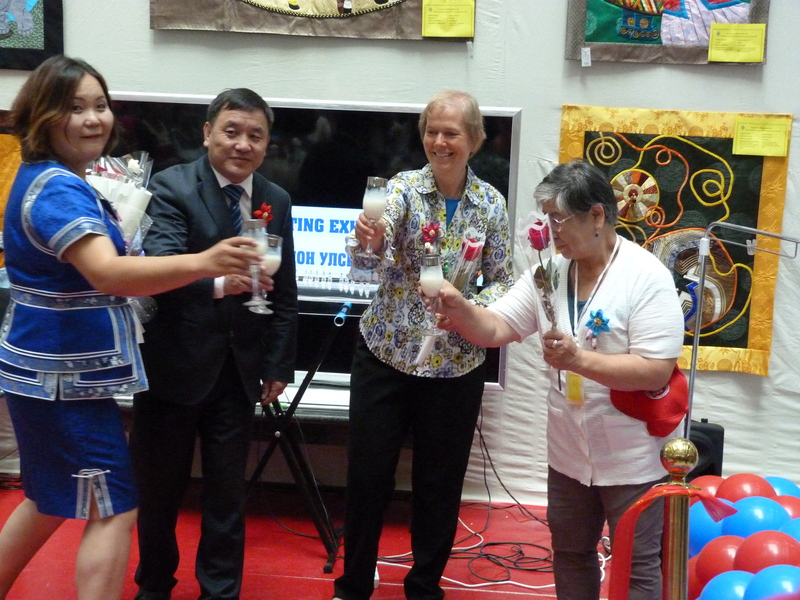 Then there were speeches from Selenge Tserendash (Director of the Mongolian Quilting Center), me and Ogawa-san Hiromi from Japan, with translations. A fashion show of amazing dresses followed, all designed by Shiilge Bat-Ulzii, one of the Mongolian designers at the Center. 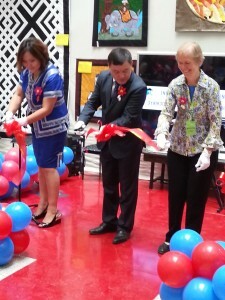 The show was declared open after an elaborate ribbon cutting ritual. Four of us participated including me and were each given white gloves and scissors that came on a silver platter. I was joined by Selenge Tserendash, the Mongolian Minister of Labor (who also presented Selenge with certificates) and Ogawa-san Hiromi from Japan. After we had cut the ribbon, the silver platter reappeared with four fancy champagne flutes filled with milk for us to drink. Traditionally this would be airag which is fermented mare’s milk and not a delicacy that I would choose to drink! Fortunately, they used ordinary milk! I just copied the others and drank about half of the milk. TV and radio people were there and a good number of people watching and there was much applause. 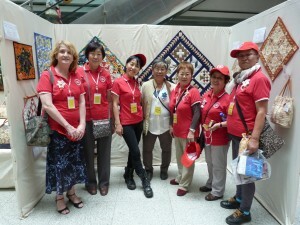 On the left, are the Japanese ladies in their area of quilts. 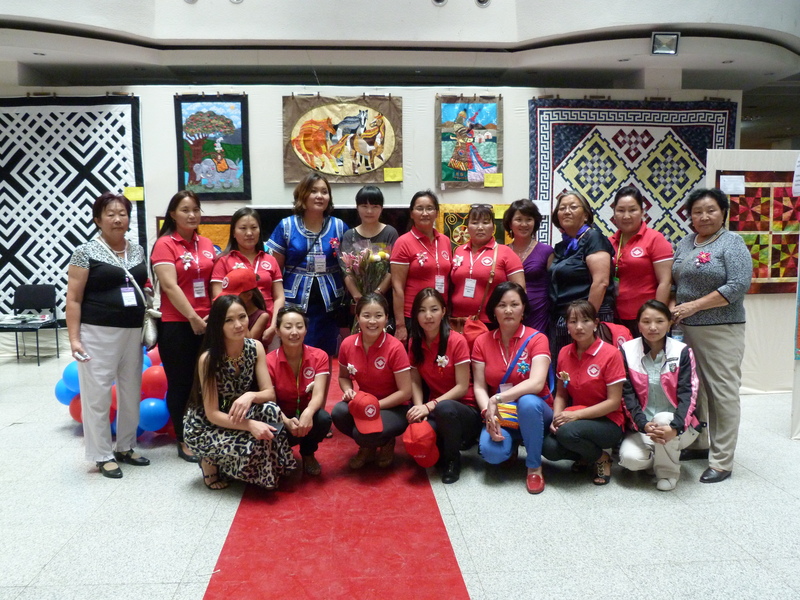 On the right, we have the teachers, designers, seamstresses, and the manager from the Mongolian Quilting Center with their fearless leader, Selenge Tserendash. It was a joyful occasion and a great start to the show. 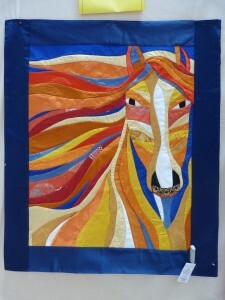 My next blog will feature some of the wonderful quilts!